We're pulling into the homestretch of KISSMAS in July and thought we'd end the month with a Geeky BANG! Before we get down to it we want to proudly announce that you can stream the Decibel Geek podcast every Friday night through Maximum Threshold Radio! These guys are spinning rock and metal 24 hours a day and were nice enough to let us Geeks take over their airwaves every Friday night at 7:00pm EST. We appreciate this opportunity and hope you will check out all of the other great programming they provide as well. This week's Geek of the Week is Victor Ruiz of the Mars Attacks podcast. Victor had the winning suggestion for this week's KISS-related show subject and we wanted to give a tip of the hat to him. Be sure to check out Mars Attacks for lots of great rock and metal discussion. To qualify for Geek of the Week, just join the facebook fan page at www.facebook.com/decibelgeek and leave us a comment. Simple as that! With 20 studio albums, numerous solo albums, and other projects to boot, it's logical to think that KISS must have a treasure trove of unreleased material. While we got some of that from the officially released box set, fans are still waiting for a bulk release of demos and unreleased nuggets (in good sound quality) from the band. There are, however, a lot of little-known gems floating around the bootleg collector market and that's what we wanted to focus on today. Special thanks to KISSFAQ for providing such in-depth information that aided in our research for this episode. In this episode you will hear demos, unreleased tracks, and alternate takes from the Hottest Band in the Land as well as cases where songs were turned inside out from demos to wind up as officially released songs years (sometimes decades) later. 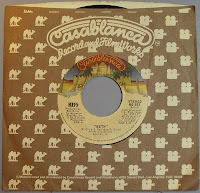 We also will take a look as some songs that KISS recorded but didn't officially release and where those songs wound up. We've got many eras of KISS covered in this show including unreleased material from Destroyer, the roots of Rock and Roll Over gems Calling Dr. Love and Ladies Room, as well as a Zeppelin-inspired instrumental that didn't quite make the cut on Music from the Elder. You will also hear a 1985-penned Asylum demo that turned into a track on 2009's Sonic Boom. We also include a track that's gone through a number of permutations (that's a big word like 'gymnasium') and has been recorded by the Creatures of the Night era and Psycho Circus era lineups yet has (criminally) never been officially released on a KISS studio album. That's just the tip of the iceberg. You will hear numerous strange demos that, understandably, never qualified for official released. It's an interesting look at KISS' songwriting process over the years and how their approach has changed/stayed the same. We hope you enjoy the scraps of what we found on The Kutting Room Floor. KISSMAS in July hits week three with a bullet with the third installment of our Vinnie Vincent Special. If you are new to the Decibel Geek podcast, then you may not know that 2 of our most popular episodes took place in 2011 when Chris Czynszak (pre-Aaron Camaro), released parts 1 and 2 of the Vinnie Vincent special. The episodes received lots of attention across the web due, in no small part, to the then-recent legal troubles that the former KISS guitarist was enduring. Since the release of the pair of episodes on Vincent, listeners from all over the globe have contacted the Decibel Geek website asking if another installment would be coming. While initially hesitant to release more specials on the troubled guitarist, we recently had the fortunate opportunity to have an in-depth conversation with someone that worked very closely with Vinnie Vincent and had a unique, behind the scenes perspective that many people have never seen. If you heard the self-titled Vinnie Vincent Invasion debut in 1986 and saw the video for Boyz are Gonna Rock, then you witnessed the first Milli Vanilli moment on Mtv. While the vast majority of music fans were unaware, the owner of the voice in that video was seeing it for the first time along with them. That is due to the fact that Robert Fleischman, vocalist on the studio recording of the Invasion debut, was no longer in the band by the time of the video premier due to a contract dispute. In today's conversation, Fleischman shares what it was like putting the album together, the zaniness that took place in the studio, and the tense interactions between band members, managers, and record company executives. Fleischman's involvement with Vinnie Vincent is not limited to that one album. He was actually working with Vincent and former members of the band New England in Los Angeles in the early 1980's. While putting together demo tracks of what would later become the Invasion debut, Today's conversation has Fleischman sharing stories of the early songwriting process of Vincent and what it was like when the shredder showed up to rehearsal to tell them that he had been offered a job playing lead guitar for KISS. The third time that Fleischman was involved with Vinnie Vincent took place after the disbanding of the Vinnie Vincent Invasion immediately following the promotional tour for their second album, All Systems Go, fronted by Mark Slaughter. While hesitant to work with Vinnie after the previous experiences, he agreed to continue the working relationship. His stories of what happened to cause the full album to go unreleased have to be heard to be believed. This conversation gives you an idea of what took place in the early 1990's when Vinnie was putting together this project and why it only yielded an EP's worth of material years later. Another topic covered in this conversation is Robert's response to a press release issued by Vinnie Vincent in 2011 stating that he was intending to re-record the All Systems Go album with Robert Fleischman handling vocal duties instead of the aforementioned Slaughter. We also touch upon Robert's early career as a member of Journey, his solo tour opening for Van Halen during the VHII tour, and how performing with Journey in celebration of their induction to the Rock Walk of Fame sparked an interest in returning to the music industry with his new band The Sky. Featuring one time Vinnie Vincent drummer (Guitars from Hell unreleased album-era) Andre LaBelle, The Sky formed in 2009 after Fleischman traveled cross-country to join LaBelle in Richmond, VA. Sporting a live, organic sound with influences dating back tot he British Invasion of the 1960's, The Sky have released their self-titled debut album. All music played during this episode of the Decibel Geek podcast is from The Sky debut album. For our listeners, Robert is now offering autographed copies of The Sky's debut album if you order through this link. Don't miss your chance to own a great piece of music signed by a vocalist that has seen it all. We want to thank Robert Fleischman for such a candid, open conversation and wish him the best of success for The Sky. We are also still accepting suggestions for our final KISSMAS in July episode next week. If you have a KISS-related idea that you think we should discuss, give us a call at (540) - DBGEEK-1 or (540) 324-3351. The deadline for suggestions is 7/22/2012. 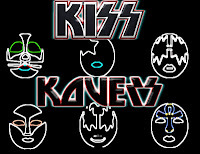 After such a great response to our Lydia Criss conversation in week 1, KISSMAS in July shifts into a new gear with Chris and Aaron's favorite KISS Kover songs taking center stage. When researching covers of KISS songs, it quickly became apparent that KISS has influenced artists from just about every genre of music (we couldn't find any jazz KISS covers). While there were, of course, plenty of examples of straight-ahead rock bands paying homage to the hottest band in the land; the covers from the worlds of disco, pop, folk, bluegrass, and death metal really surprised us. 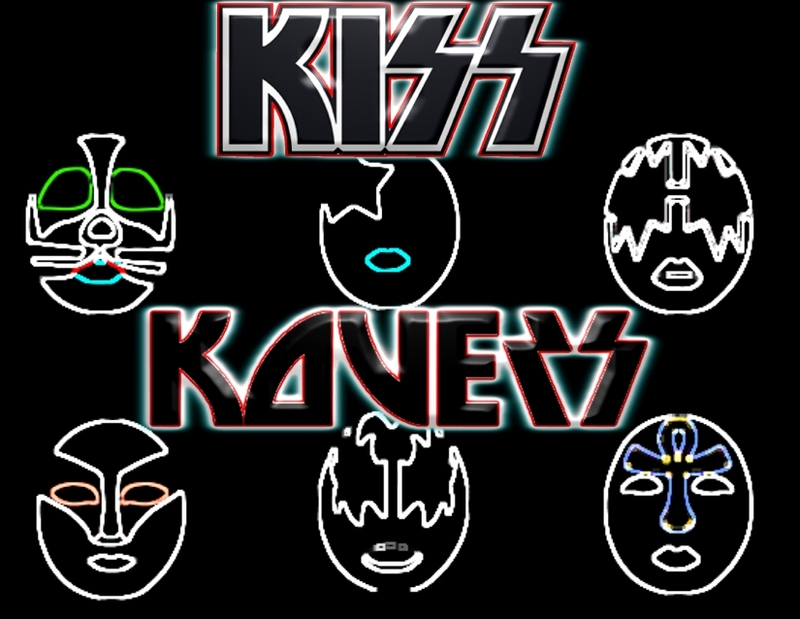 We must give credit to the fine folks of KISSFAQ for providing such a great, deep discography of pretty much anything and everything KISS and related. The tribute album section includes officially released product as well as 5 (and counting) tribute albums that were produced by KISSFAQ forum members. Now, THAT'S a devoted following! Obviously, with so many cover songs existing, it would impossible to even include a fraction of them in this episode. So, with that said, Aaron and Chris ventured to celebrate KISSMAS in July by playing their favorite covers. A lot of digging went into these picks and we hope that you are turned onto some great stuff. If so, click one of the links below to hear more of these great KISS-inspired artists. Rock on! Welcome to KISSMAS in JULY here at Decibel Geek headquarters! We're always looking for new excuses to do KISS-themed material and doing a full month of KISS stuff in July just seemed like a logical choice. We kick off the month-o-KISS with an in-depth conversation we recently had with Lydia Criss. Formerly the wife of original KISS catman Peter Criss, Lydia entered the KISS Army's consciousness in 1976 when she accepted the award for 'Beth' being the #1 single of 1976 at the People's Choice Awards. What was the reason for Lydia accepting the award? Listen to our discussion to find out. 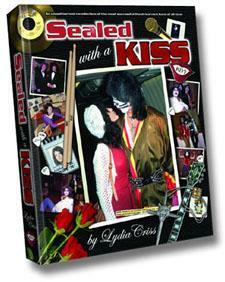 A few years ago, Lydia published a coffee table memoir of her life entitled Sealed with a KISS. Jam packed with tons of photos never before seen of KISS and Peter Criss from their earliest days as a struggling band rehearsing in a frigid loft in downtown Manhattan, their apex of popularity in being named the most popular band in America according to a Gallup poll, and beyond. The book also gives a rare glimpse into Lydia's personal life as the wife to a rising star in the music world. 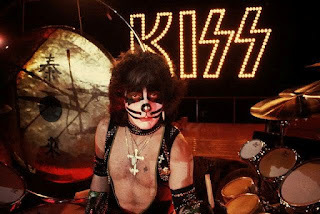 In this conversation, Lydia, Chris, and Aaron pick some of their favorite Peter Criss-sung songs and Lydia shares her memories of the stories behind the making of the songs including the drama that would arise between band members. 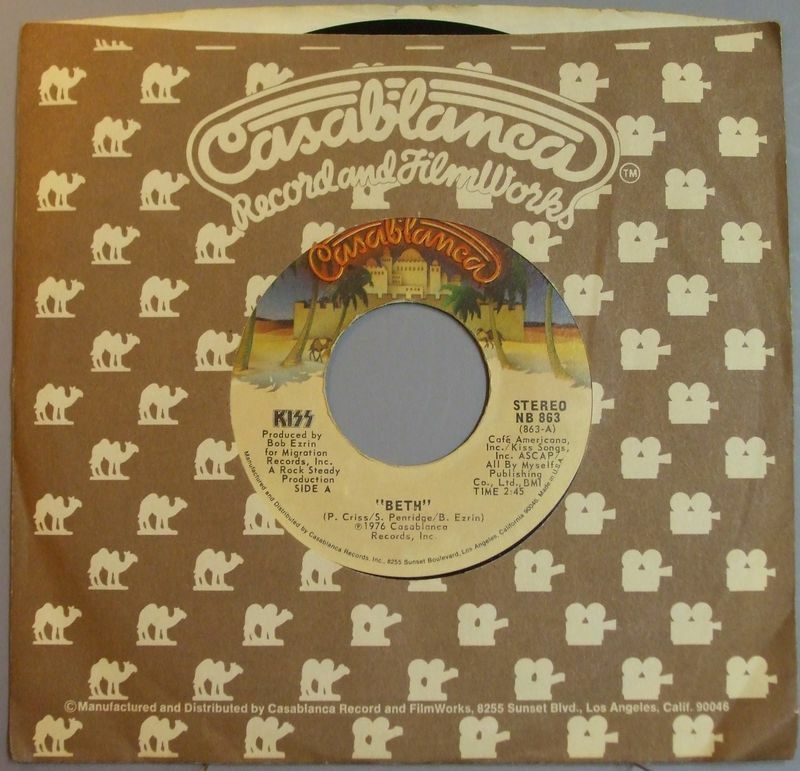 Peter Criss' 1978 KISS solo album included quite a few songs about the end of a relationship. This mirrored reality as it was around this time that Peter's marriage to Lydia was ending. Lydia recalls the experience of hearing these songs and the effect they had on her at a tumultuous time in her life. Also in this discussion are Lydia's memories of accepting KISS' People's Choice Award and the conversation with Gene Simmons that led to her accepting the award on the band's behalf. The story of how Beth came to be has been told from numerous different angles and Lydia tells her side of the story and it's probably something you haven't heard before. While this conversation includes some great inside information from a person that was right in the middle of the rise of the Hottest Band in the Land, you will get WAY more great stuff like this if you purchase a copy of the 2nd printing of Sealed With a KISS. Included in this new printing are over 20 new photos as well more content including a listing of tons of gigs that Peter performed before joining KISS. If you are a KISS fan and don't own this book, you are truly missing out. It's totally worth the money and you don't have to mortgage your house to afford it. Check it out!